There’s nothing cozier than a garden that feels lived in. While pristine lawns look great in the glossy pages of design magazines, who doesn’t want something a bit more rustic? While you can find a lot of modern outdoor furniture at your local big-box store, these lack a special charm that sets some gardens apart. Where are garden lovers to go for these one-of-a-kind picks that scream character? The trick is to look to the past. Throughout recent history, garden furniture was all-the-rage. 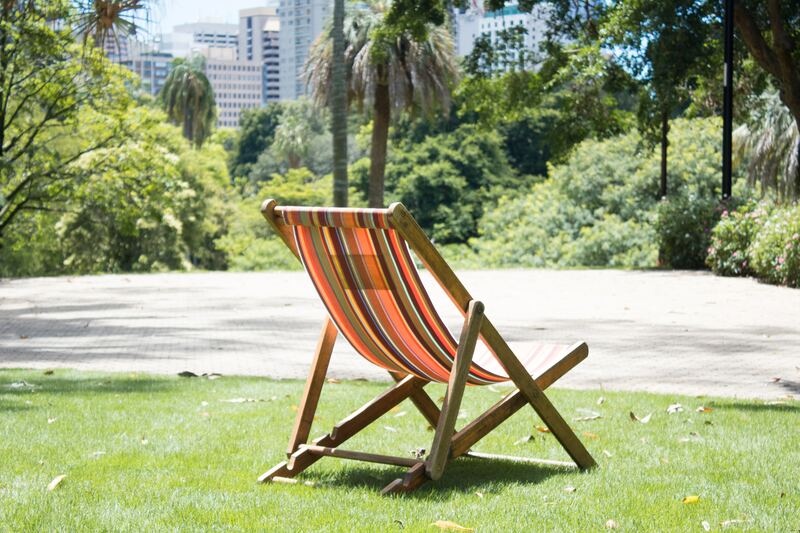 From garden parties to outdoor events, everything was so much greener before our modern technology took center stage. Finding vintage furniture today that fits your garden and your taste is harder than ever, but it doesn’t have to be impossible. Here is some inspiration to get you started. Lawn ornaments look great in a garden mixed in with colorful flowers and full lawns. We all know the retro image of the 1950s house with the pink flamingo on the lawn, but not all lawn ornaments fit this stereotype. In the past 70 years, lawn ornaments have come a long way. Today, you can add this same whimsy to your garden with a few strategically placed decorations. From retro metal pots to the notorious gnomes, these decorations withstand the elements and keep a watchful eye over your outdoor space. A lot of homeowners shy away from wooden outdoor furniture because it’s harder to maintain outside. As long as it’s taken care of, wooden furniture lasts season after season. Some might even argue that the naturally weathered look of wood lends itself to looking even more charming in your garden. Wood chairs can be used for just about anything. From dining al fresco in the summertime to late-night relaxation in the spring, these chairs add an element of utility to your garden space. To keep your wooden chairs looking their best, clean them regularly with water or mild soap. You can also use a brush to scrub the wood clean. If you live in an area prone to harsh weather, use a sealant to preserve the wood against wear and tear. For more wooden inspiration, check out these amazing decor ideas for your exterior. Find an antique chair that’s perfect for your garden, but you aren’t sure if it’s sturdy enough for sitting? You might have just discovered a new planter. The vintage chair planter has been popular on home design blogs for years now, and it’s easy to see the appeal. 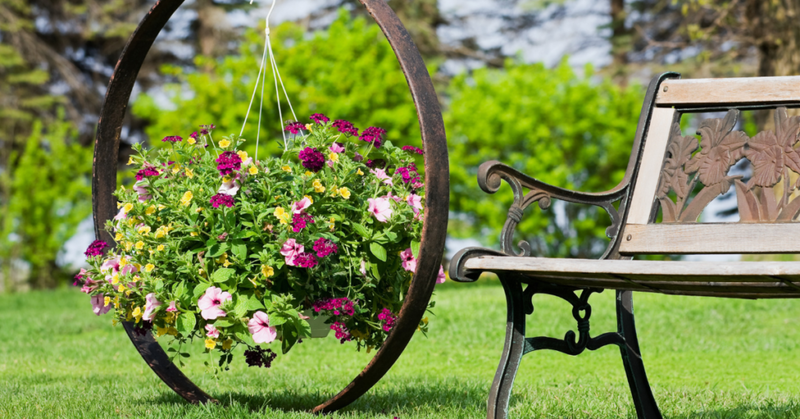 It’s as simple as using an antique metal or wooden lawn chair with a vintage-inspired pot and your favorite flowers. Suddenly, your garden is a multi-dimensional paradise. Another antique refresh that breathes new life into your outdoor space involves a desk or an old counter. By pulling out the drawers or cabinets, you can create towering space for plants and small pots. For a bigger transformation, remove the cabinets and drawers altogether and use it as a storage space or for entertaining. Once again, if you’re using a wooden cabinet or desk, make sure you treat the wood for the outdoors. Keep it in a place that’s not prone to regular rain, and use a sealant to protect the wood over time. Adding a fresh coat of paint will also help bring the antique back to life. 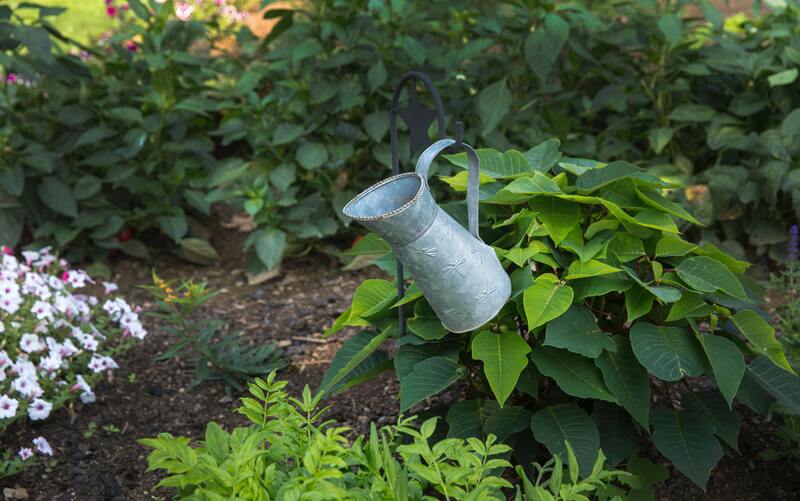 Your garden has never looked so gorgeously rustic! 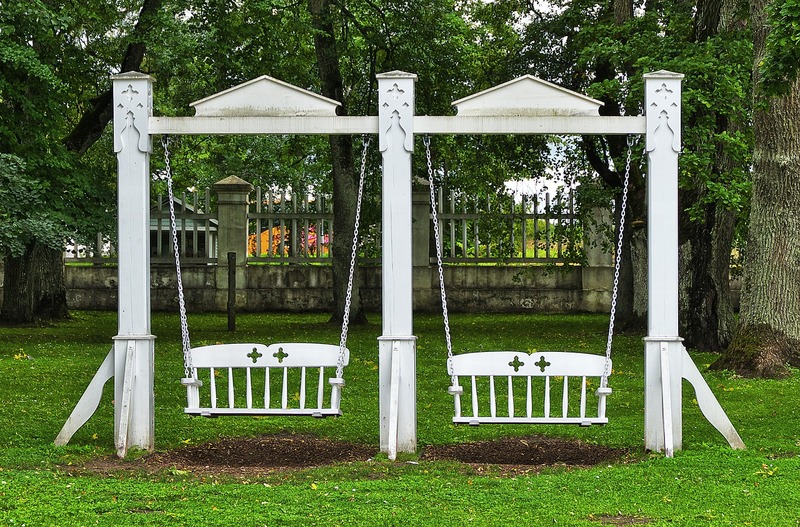 Swinging benches and gliders were a staple of the 20th century, and now they’re making a big comeback in gardens all over the country. There aren’t many better ways to spend time outside then on a rocker in your garden, and these vintage must-haves make the experience all the more enjoyable. Yes, these do make some noise when they glide back and forth—but that’s all part of the charm. While wooden swings have to be installed, you can find metal bench gliders new at most furniture stores today. If you’re up for a challenge, you can find the real deal at an antique store. The original metal gliders were made by the J.R. Bunting Company, later known as the Bunting Metal Glider Company, and they were made throughout the 20th century. Finding an original would be a true garden treasure. 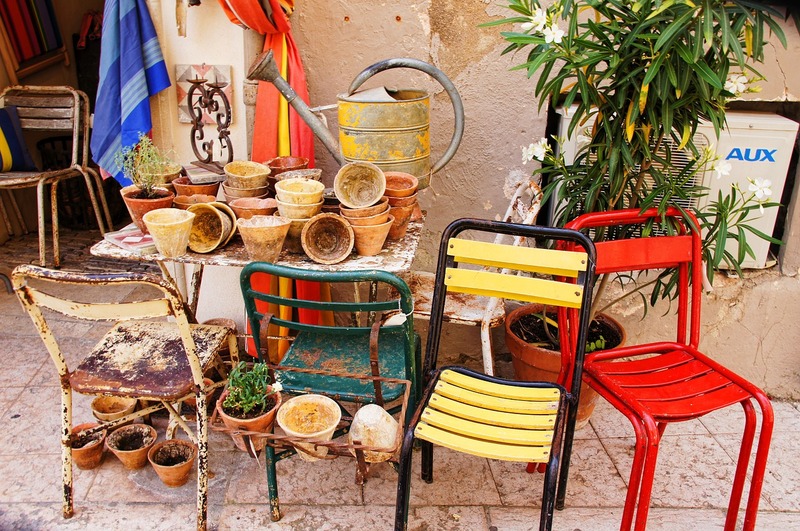 Finally, what garden wouldn’t be complete without an assortment of vintage planters? While design magazines today might encourage you to match your planters perfectly or choose the latest designs, this doesn’t leave much room for fun. 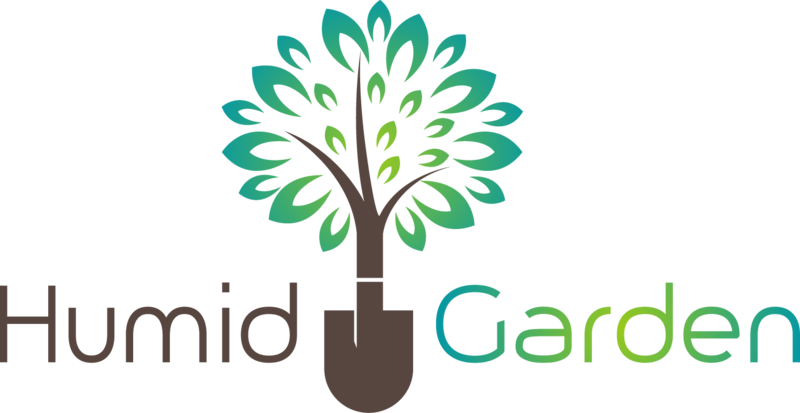 Your garden is a lively, fresh space that deserves a lively, fresh design. 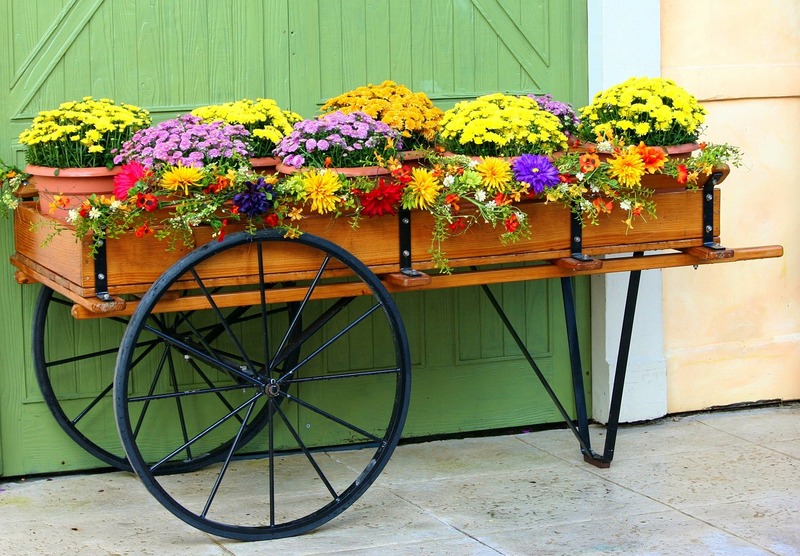 Turn your yard into a timeline of styles past with antique and vintage planters. If you’re over the stiff, picture-perfect gardens that are popular today, it’s﻿﻿ time to transform your space into a vintage dream. 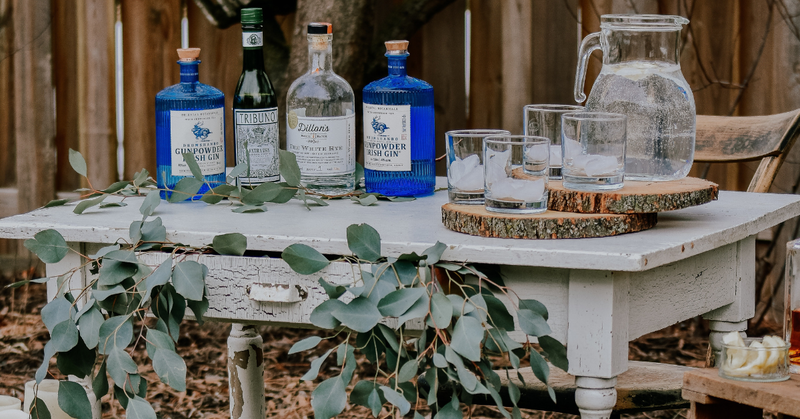 There’s something so romantic about the garden parties and styles of the past, so why not embrace these trends for your own outdoor space?